We've organized Dan's work into a variety of Sculpture Collections. Some pieces overlap into multiple collections while other pieces defy a strict classification. All of Dan's available work is contained in at least one of the Sculpture Collections. We hope you enjoy all of the sculpture. 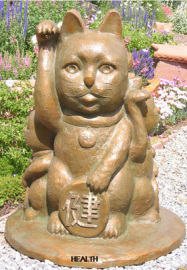 Welcome to the Kids Play Collection of bronze sculpture. Dan's sculpture of children attempt to capture, in a realistic way, the fleeting expressions, uninhibited playfulness, and sense of wonder that children exhibit on a daily basis. Dan spends a great deal of time observing and photographing children before he begins work on a new sculpture. Once he decides on a particular composition, he works extensively with live models to capture the realism he hopes to convey with his sculpture. A good book is hard to put down and Dan's collection of reading bronze sculptures are a timeless reminder of the love kids, and adults, have for books. These reading bronze sculptures are particularly suited for permanent installation at libraries and schools. The Outdoor Action collection of bronze sculpture includes both tabletop and life-size pieces. 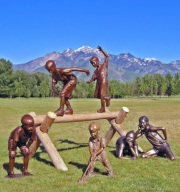 Some of the sculptures were inspired by the natural outdoor playgrounds of Utah while others spring from Dan's life long passions. 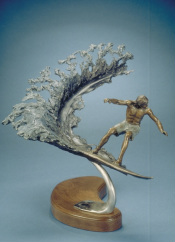 Whether your outdoor passion is skiing, snowboarding, fly fishing, mountain biking, surfing, baseball, soccer, basketball, tennis, golf or falconry, we just might have a bronze sculpture that calls out to you. Dan’s collection of golf and tennis sculptures include some of his first bronzes completed during the early 1980’s. Dan used a combination of photographs and professional athletes from the Salt Lake City area as models in order to capture the essence of these sports. The “Sweet Spot” golf sculpture was completed in 1995 as a form study and the “Four by Two” life-size bronze was completed in 1999. The Dance of Life collection includes Dan's exquisite ballet sculpture along with sculptures that capture the drama and tender moments of everyday life. The Just For Fun Collection includes whimsical sculptures and sculptures that defy classification in other categories.